A graphic design studio specializing in brands and illustration. 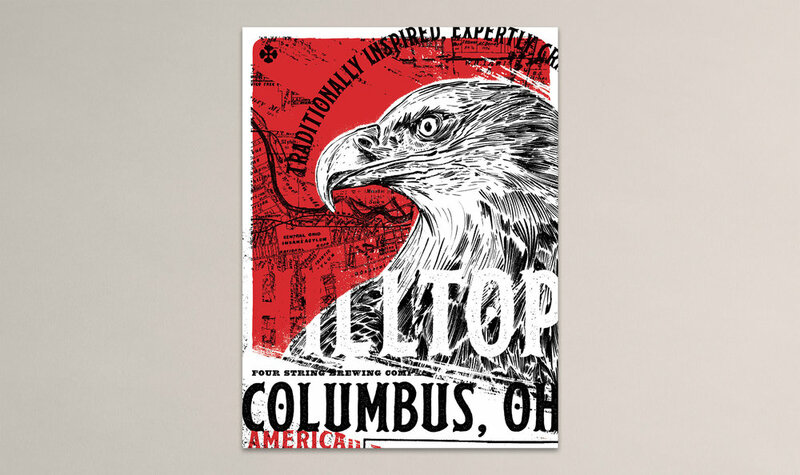 In collaboration with formerfactory, the Hilltop Lager poster pays homage to the Columbus neighborhood and tradition of local beer. This poster is 1 of 10 artist interpretations of Four String Brewing Co.'s various beers. It was exhibited at the 2018 Pints & Prints Show. All content copyright ©2019, Remo Remo Design, LLC. All rights reserved.